Regenerative medicine techniques offer ways to tap into the body’s own healing abilities to treat injuries. Owl Manor Veterinary says its technology offers a better alternative to other biological treatments for joint damage in horses and dogs and now the medical device company has $1.2 million in capital to advance its efforts. Warsaw, IN-based Owl Manor Veterinary announced that it closed the financing in late August. Investors participating in the Series A round include Indianapolis-based Elevate Ventures. The company, a division of New Orleans-based Owl Manor Medical, is led by CEO Mark Schindel, a medical technology veteran whose experience includes management posts in the knee and biologics units at the former Zimmer, now Zimmer Biomet (NYSE: ZBH). Joint injuries and arthritis can be treated with oral anti-inflammatory medications or steroid injections into the joint. Another approach, using regenerative medicine techniques, works by preparing a solution of proteins or stem cells harvested from the patient. Once the solution is ready, an injection delivers the treatment directly to the injured area. Owl Manor did not respond to requests for comment. But on its website, the company explains that its technology for harvesting biological samples from a patient and preparing an injectible solution is available through three products. Pro-Stride, an anti-inflammatory protein injection derived from a blood sample, treats arthritis. ACT-PRP is a blood platelet collection and concentration system that prepares an injection of platelet-rich plasma to treat lameness, joint swelling, and tendon inflammation. A third joint treatment product, the ACT-Cell Concentration System, collects stem cells from a sample of bone marrow and prepares the cells for injection. The Owl Manor technology that the company is now marketing to veterinarians was first developed for treating joint ailments in humans. 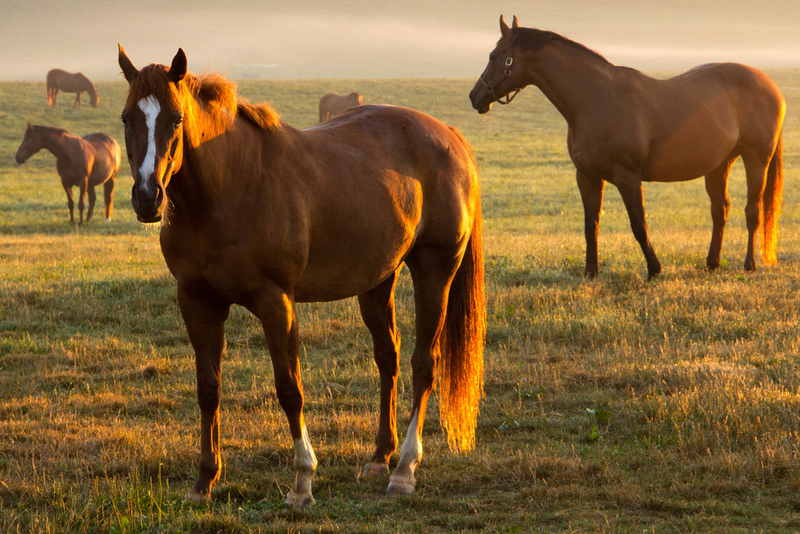 The company says its Pro-Stride and ACT-PRP products are the veterinary equivalents of devices developed and commercialized by the former Biomet. Owl Manor, which was founded last year, does not say how it acquired the technology from Zimmer Biomet or what relationship it has with its larger Warsaw neighbor. The products work with an Owl Manor centrifuge used to separate the various components of the tissue sample. Owl Manor isn’t the only company that has developed regenerative medicine treatments derived from a patient’s own tissue. For example, VetStem Biopharma, a company located in Poway, CA, north of San Diego, has commercialized its own approach to harvesting, processing, and banking the stem cells of animals to treat injuries in horses, dogs, and cats. But Owl Manor believes its devices can set it apart from the field. Other technologies that prepare treatments of concentrated proteins and stem cells from blood and bone marrow samples require those samples to be taken to a laboratory for processing. Owl Manor’s devices process the biological samples at the point of care, which the company says saves a veterinarian time and brings treatments to patients more quickly. The company claims its biological treatments can be prepared within 30 minutes. In February, Owl Manor Veterinary announced plans to open its headquarters in Indiana, promising to invest more than $800,000 in a new facility in downtown Warsaw. The Indiana Economic Development Corporation offered $400,000 in tax credits, contingent on the company’s pledge to create 33 new jobs by 2019. In the announcement of the Owl Manor expansion, the company said that it would be hiring for positions including sales, administration, and research and development in 2017. Photo courtesy of Flickr user RonEskins under a Creative Commons license.